Not long ago at the Jump Festa event in Japan, Square Enix revealed a brand-new trailer for the upcoming Switch release of the JRPG, Dragon Quest XI. While the trailer ceased to show us anything substantially new regarding the game itself, it did end with a 2019 release date…for Japan. 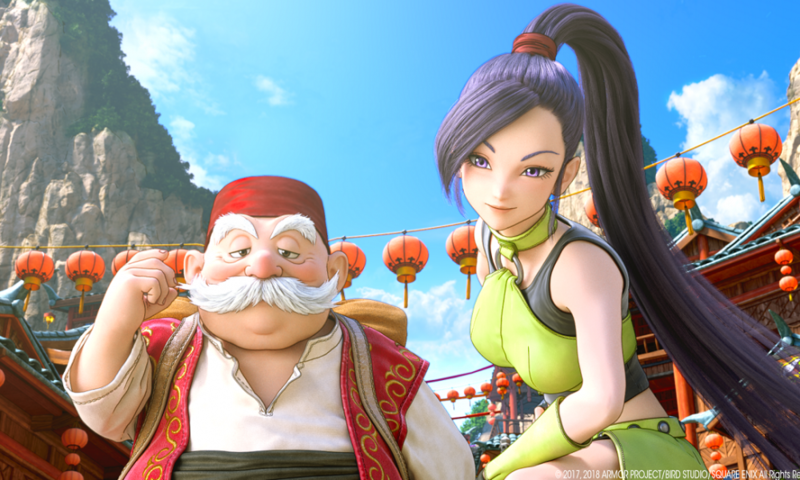 It seems, however, a recent report from NintendoSoup has all but confirmed a worldwide release for Dragon Quest XI S. Gathering reliable information from multiple sources within the supply chain, the JRPG released in 2017 in Japan and 2018 in the rest of the world on the PS4 is aiming for a global release window in 2019 for its upcoming Switch launch. The report goes on to state that the actual release date(s) have not yet been released and could result in a staggered launch, releasing first in Japan similar to the PS4 launch. However, this doesn’t seem like it will effect the title from releasing worldwide in 2019. Dragon Quest XI: Echoes of an Elusive Age is a riveting JRPG that takes the genre back to its roots with traditional turn-based battle mechanics in a modern era of gaming. The Switch version, different from the western PS4 version, is also arriving with the Japanese voice-over option. Dragon Quest XI: Echoes of an Elusive Age is currently available for the PS4 worldwide, and a special 3DS version exclusive to the Japan region.